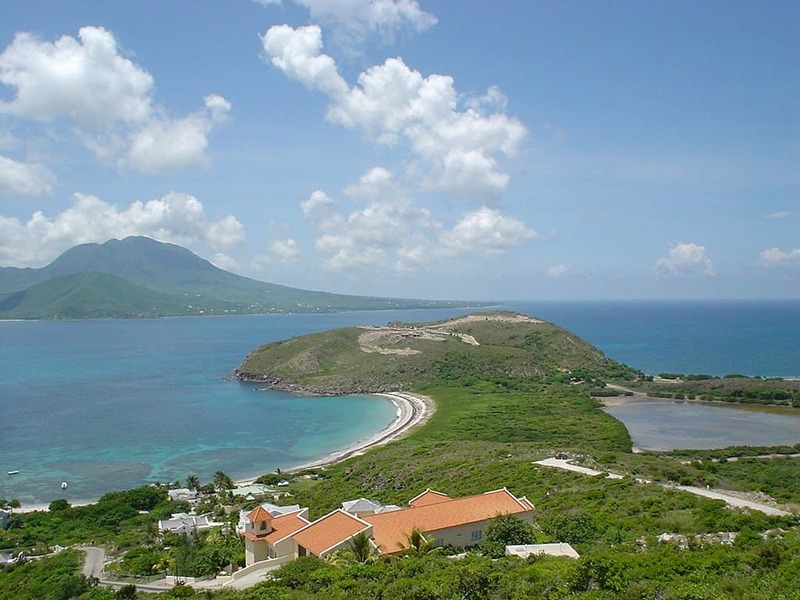 St. Kitts and Nevis are two islands in the eastern Caribbean, about 1,200 miles southeast of Miami. The two make up a single federative island state – so they’re a single country. As part of the Lesser Antilles island chain, they are somewhat of a hidden gem within the Caribbean. Most attention is pointed at the bigger islands of Cuba, Jamaica, Puerto Rico, and the Dominican Republic. The smaller island chain that holds St. Kitts and Nevis, therefore, has untapped potential to offer those looking for it. If you’re interested in learning more about residency abroad in St. Kitts and Nevis, there’s really only one way in: investment. The government of St. Kitts and Nevis wants to encourage residency abroad in the country for only those who can bring a boost to the economy. This is why you must apply for residency abroad via an investment. The country allows for dual-citizenship and for visa-free travel for those from most other countries. If you’re not seeking citizenship, you can travel to St. Kitts and Nevis from most countries without a visa and stay for up to 90 days. There is not, however, a residency abroad program outside of the citizenship-by-investment program. If you wish to live here, you must take part in this program, and if you don’t want to let go of your citizenship from your home country, you don’t have to. Take advantage of the country’s allowance of dual-citizenship and get the best of both worlds! Real estate investment of at least $400,000 USD – this investment must be kept for at least five years before citizenship is granted. $50,000 USD for every dependent after that. Fill out application form accurately. Have no criminal record/pass a background check. Are not a subject of criminal investigation. Are not a potential security risk to St. Kitts and Nevis, or to any other country. Are not involved in any activity that would hurt the image of St. Kitts and Nevis. Have not been denied an entry visa by a country with which citizens of St. Kitts and Nevis have visa-free entry. In addition, application fees are required. The first applicant costs $50,000 USD, which is the same for any dependent over the age of 18 years old. The spouse is $25,000, and any dependent under the age of 18 is also $25,000 USD. It might be good to know, however, that these fees can be covered in your investment amount if you’re making a contribution to the Sugar Industry Diversification Foundation, aside from any due diligence fees. Those are $7,500 USD for the principal applicant and $4,000 USD for any dependents over the age of 16 years old. If you’re considering the real estate route in this program, you can apply after owning government approved real estate projects for at least five years. There are over 40 of these types of projects that can qualify, but each development has its own set of rules. The type of real estate investment you choose can change your qualifications somewhat and can also change the processing time of your application. Refer to this list of approved real estate projects to learn more. After a new regulation was passed in 2012, the government of St. Kitts and Nevis has made it possible for the person who buys your real estate investment (that is, assuming you’ve decided to sell) from you to have the ability to qualify for the citizenship-by-investment program as well. This can be good to know if you’d like to help out a friend! Easy second passport and citizenship for family.